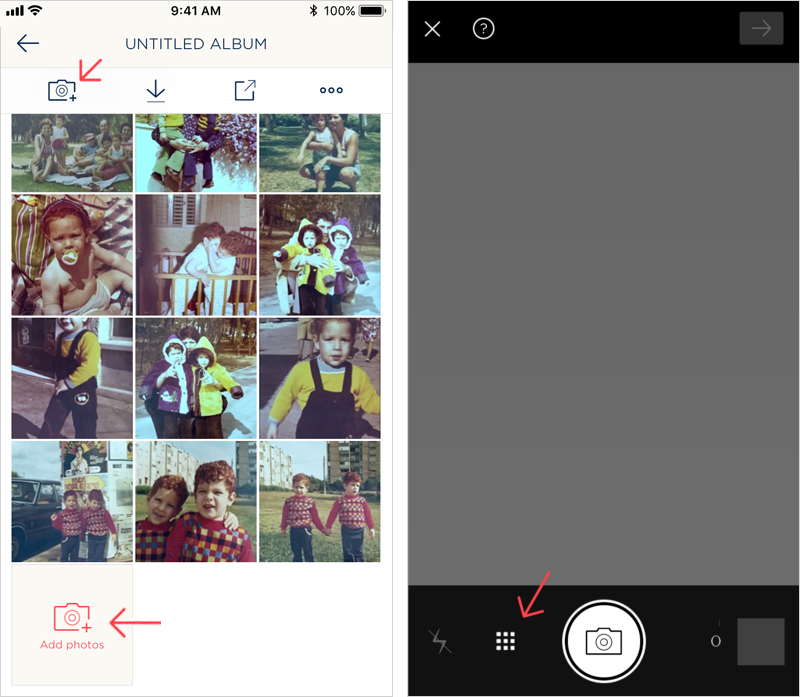 You can import any photo from your phone or tablet’s photo library into the app. Here’s how. 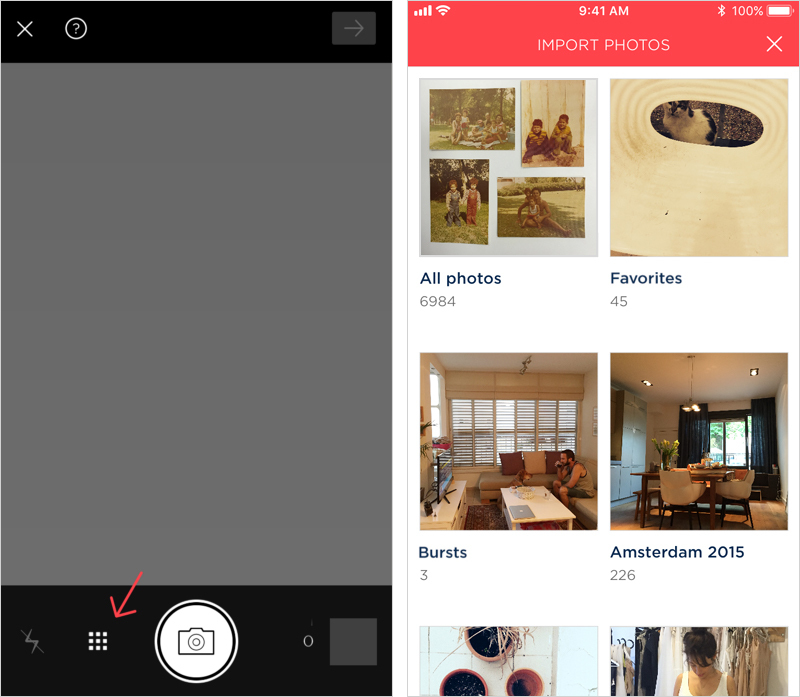 A word on photo access: Please note that the Photo Scanner app by Photomyne will require access (or permission, if using an Android device) to your device’s photos folders in order to import photos into the app. Here is more information on the access and permissions required by the app on your device. 2. Choose the photo folder you would like to import photos from (could be your WhatsApp, Instagram or any other photo folder). Select the photo(s) you would like to import. 3. Now tap the Import photos button on the bottom of the screen. 4. 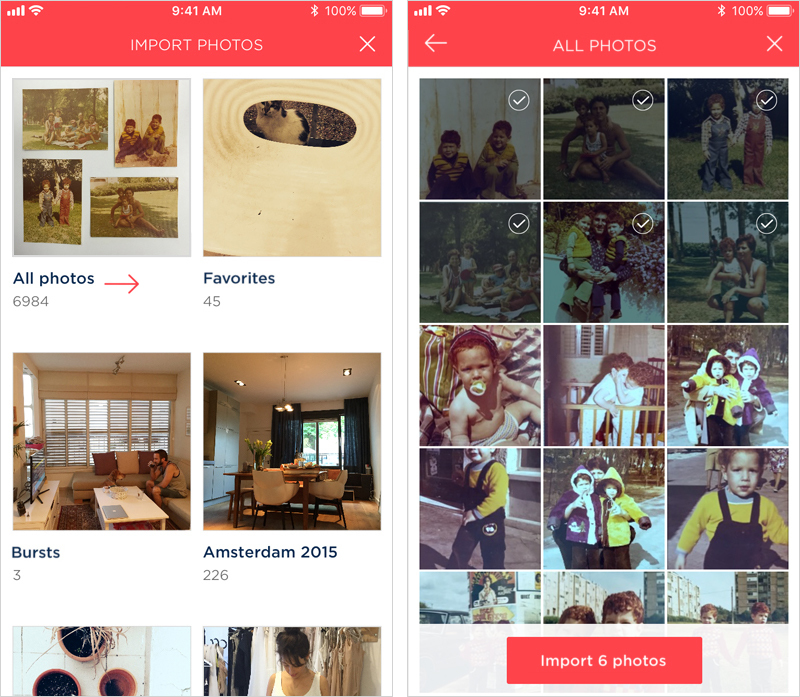 Next, the app will auto-crop and save the imported photos into the album. 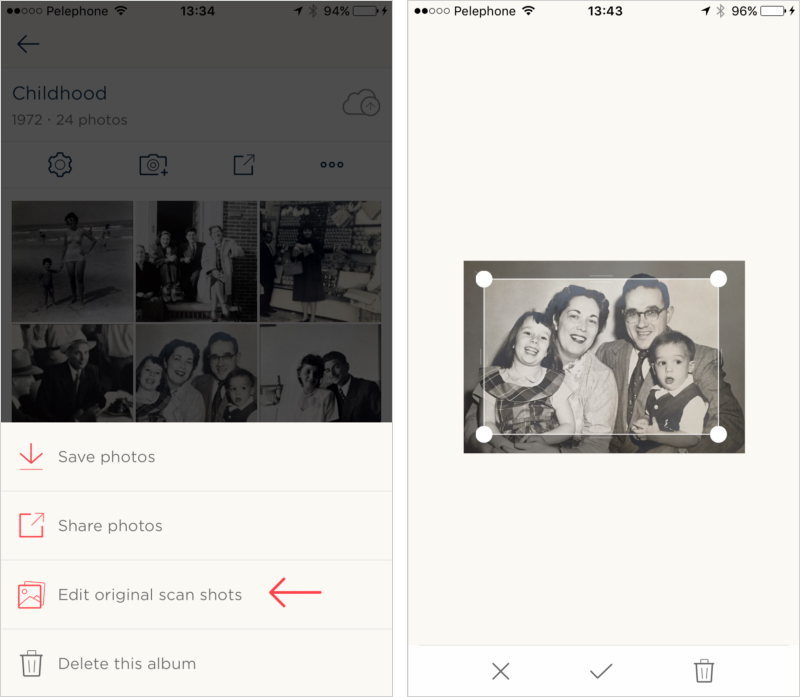 If wish to review these newly imported photos, you can always access them by tapping Edit original scan shots on a photo’s options menu. How to import photos from your device to an existing album in the app? It’s easy. Simply go to the album you’d like to add photos to, and tap the Camera+ icon: either on the top bar (under the album's title)or the bottom of the album. The app will take you to the scanning screen. Left: tap the Add photos camera icon. Right: tap the Import icon to access photo libraries on your device. Once there, follow the same steps as mentioned in the beginning of this guide, and the photos will be imported and saved to this album. From here on out, the imported photos are Photomyne photos for all intents and purposes. 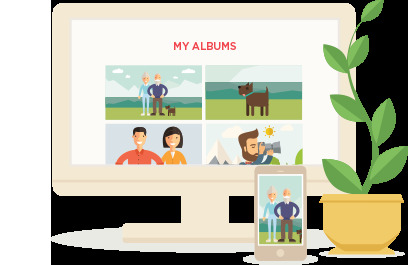 You can then select which Photomyne album to save them to, arrange their order and share them with friends and family.